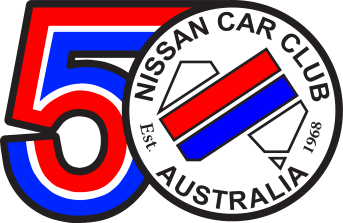 Nissan Car Club Australia Inc. The NCCA is managed by an elected committee consisting of a President, Vice President, Treasurer, Secretary, Editor, and Secretaries for: Membership, Autocross, Motorkhana, Racing and Rally. A list of Filled By committee members is included below along with a description of the role of their position. The roles provided are paraphrased from the Club Committee Handbook, which remains the authority for the functioning of the committee. Role: The role of the President is to ensure proper functioning of the Club and its committee. and prepare a monthly reports. Role: The role of the Vice President is to stand in for the president in absentia. maintain points score for the Clubman and Clubwoman awards. Role: The role of the Secretary is to maintain and manage development of all club records. clear the Club's mail box. prepare an annual report for compilation by the June Committee meeting. Role: The role of the Editor is to coordinate the production of the monthly magazine and annual reports. organize the Annual Report for distribution at the Annual General meeting. Role: The role of the Treasurer is to oversee and manage all Club finances. Proper allocation of Club funds. Role: The role of the Membership Secretary is to manage the club memberships. prepare an annual report including a graph of membership numbers for the June committee meeting. Role: The role of the Autocross Secretary is to manage the Clubs involvement with Autocross events. represent the Club at VCAS meetings and report such meetings to the Committee. Role: The role of the Motorkhana Secretary is to manage the Clubs involvement with Motorkhana events. forward supplementary regulations of each championship event to those members on the mailing list. Role: The role of the Racing Secretary is to manage the Clubs involvement with racing events. assist and oversee directors of NCCA events as required. Role: The role of the Rally Secretary is to manage the Clubs involvement with rallying events.